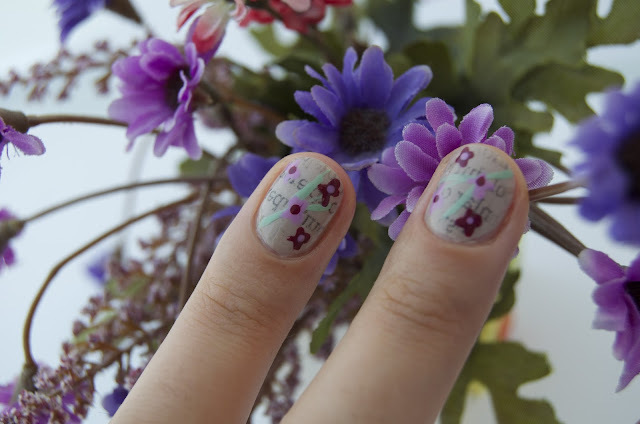 Style & Glaze: Vintage Nailart: Newspaper on my nails! 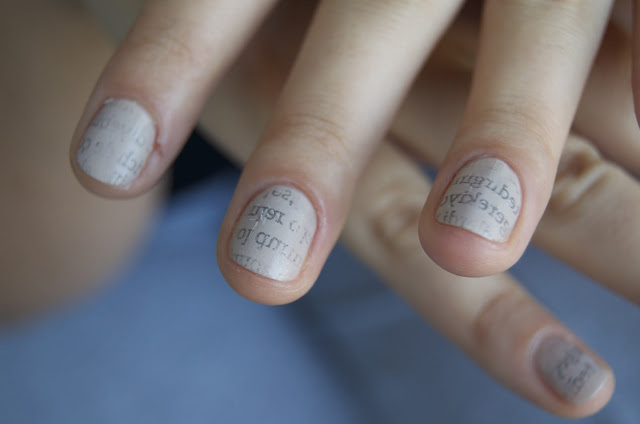 Vintage Nailart: Newspaper on my nails! Hi everyone, I love nail polishes and nail art stuff but I really can't do nail-art on my own. I think it's beyond my talent. 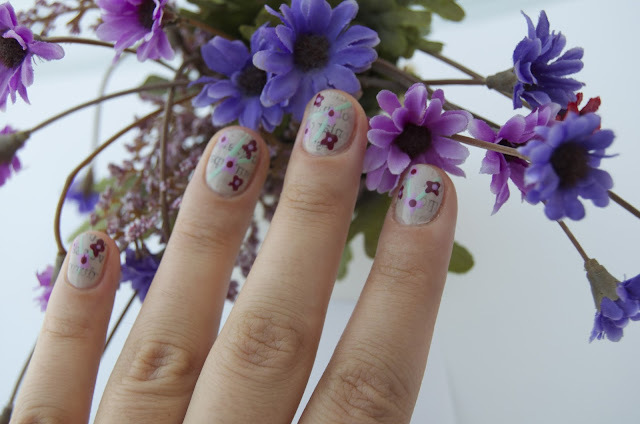 But today is a different day because my lovely blogger friend Gonca is here and she made me this lovely vintage nails. 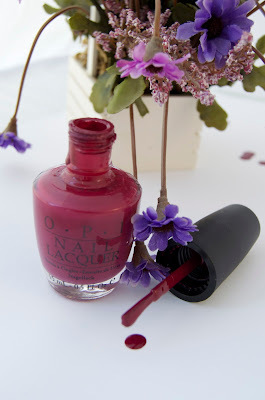 She is a talented girl and has a great blog on nail-art and beauty. If you don't know about her I recommend you to check her blog. 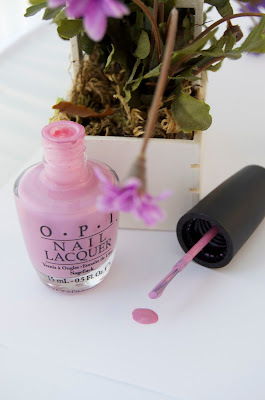 So here are photos and steps of my manicure. First we applied two coats of Essie Sand Tropez nail polish as base color. After it dried, we soaked little pieces of newspaper to cologne,(alcohol can work too) waited 30sec and placed over my nails. This is how it looks like after peeling newspaper off. 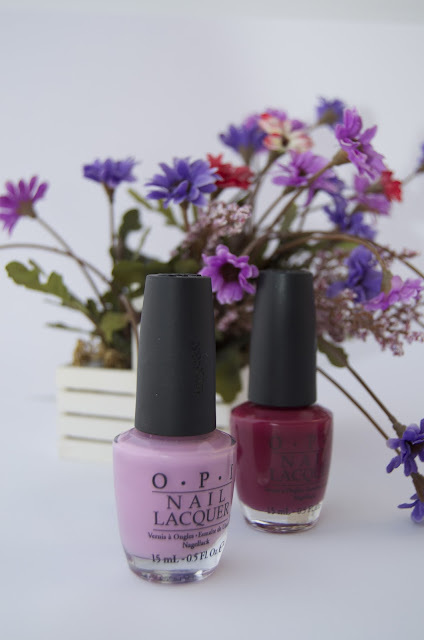 Gonca, açık yeşil bir oje ve nail art fırçası ile dalları çizdikten sonra Opi'nin No Spain No Gain ve Lucky Lucky Lavender isimli ojeleri ve dotting tool ile çiçekleri çizdi. Gonca made tiny little branchlets with a soft green shade. Finally with dotting tool she made flowers using Opi's No Spain No Gain and Lucky Lucky Lavender nail polishes. Here is final results of her work..
Ortaya benim bayıldığım bir sonuç çıktı. Sevgili Gonca'ya tekrar teşekkür ediyorum. Peki sizler bu manikürü nasıl buldunuz? Paylaşın! 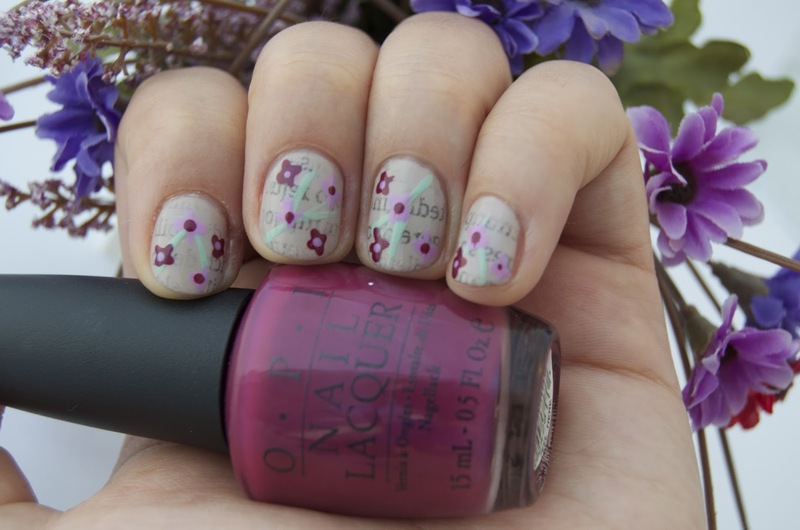 I loved this manicure! Isn't it lovely and wearable? I thank her again from here. And hope you like it too. What are your opinions about this manicure? Do share! P.S: for Gonca'nın Güncesi click click! süpermiş. bir oje blogu olarak benim de denemek istediğim bir teknik bu :) en kısa zamanda yapmalıyım çok güzel gözüküyor.